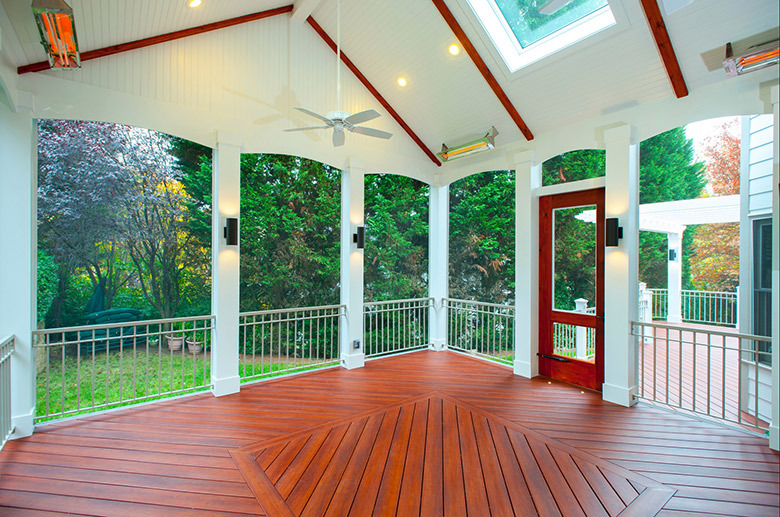 If you’ve been looking into adding a deck or updating your old one by incorporating screened-in porch decking, you probably know that there are a lot of options out there. Along with traditional wood decks that have been around for generations, today you can find decks built from aluminum, plastic, recycled carpet fiber, and even plant material. With all of these choices, you might be wondering where Zuri Decking fits in. What does this kind of deck give you that you’re not going to find from other models or manufacturers? 1. A beautiful, low maintenance deck. Zuri Decking is for people who don’t want to spend a lot of time taking care of their deck but still want something that looks good. As a Zuri deck contractor in Maryland, we can tell you firsthand that these won’t require much maintenance from you at all. They’re resistant to stains, scratches, moisture, fading, and even slipping. Beyond this, you’ll never have to paint, stain, or reseal it. Once your deck is in place, all you have to do is sit back and enjoy it. 2. The most attractive synthetic decking out there. Their website promises it, and Zuri Decking definitely delivers. This is one of the best looking low maintenance decks we’ve ever seen, and a big part of the reason why is that Zuri works hard to make sure that their synthetic decking matches natural grain textures and authentic colors found in rare hardwood. We’ve worked with a lot of other synthetic decking materials and companies, and nothing else out right now even comes close to matching what Zuri can offer. 3. A company with experience. There’s a reason Zuri’s decks look so good and so natural. When you decide to go with a Zuri screened-in porch, you’re picking a company that has been working with PVC products for quite some time. This experience has allowed them to refine their technique and experiment by blending technologies together to offer you a product that others simply can’t match. Zuri Decking comes in five different colors and styles, making it easy for anyone to create a deck that they love. You can choose from Chestnut, Walnut, Pecan, Brazilia, and Weathered Grey. What’s the best Zuri Decking color? That really depends on you and the color scheme of your home. You want something that’s going to go along with your current style, and with five different options, Zuri makes that easy.